When would you like to stay in hotel Villa encantadora con piscina en Pollensa? 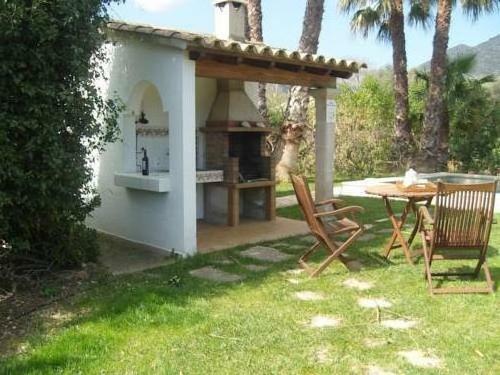 Featuring a private pool, Villa encantadora con piscina en Pollensa is located in Pollensa. The beaches of Cala San Vicente and Puerto de Pollensa are set within 5 km of the villa. The 3-bedroom villa has a living room with a sofa and satellite flat-screen TV. A dishwasher, oven and washing machine are included in the kitchen. There are 2 bathrooms. Next to the pool, guests can enjoy a garden with sun loungers, dining table and BBQ facilities. Free private parking is available. There is a supermarket 300 metres from the property. 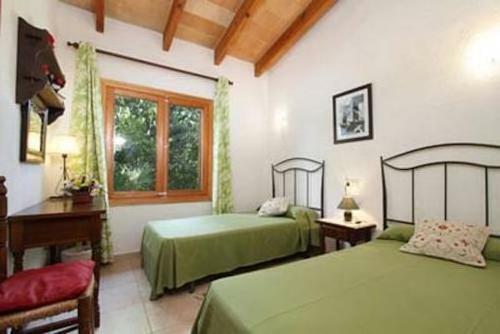 The villa is is 1 km from Pollensa's centre, where guests can find various bars and restaurants. Pollensa Golf Club is 5 km away. Palma de Mallorca can be reached in 45 minutes by car. We have included all charges and information provided to us by Villa encantadora con piscina en Pollensa. However, charges can vary, for example, based on length of stay or the room you book.